Rare fragrance protruding marine, animalic musky notes. 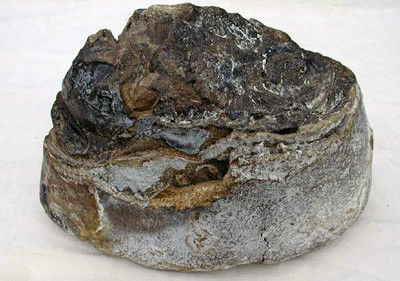 Ambergris is very rare and extremely valuable. It is produced in the stomach of the rare male sperm whale and is a kind of growth. It contains cuttlefish, which irritate the stomach forcing the whale to regurgitate it before it becomes too big. It then floats on the water, but is rarely found. It is a base note that has an aroma that many find difficult to describe. For some, it has a seaweed and floral aroma, whereas others find it musty or earthy. Used in small amounts, this base note brings an anchoring, sweet, velvety warmth to a blend.